The Internal Revenue Service is cautioning taxpayers to be on the lookout for unscrupulous return preparers, one of the most common “Dirty Dozen” tax scams seen during tax season. The vast majority of tax professionals provide honest, high-quality service. But there are some dishonest preparers who set up shop each filing season to perpetrate refund fraud, identity theft and other scams that hurt taxpayers. That's why unscrupulous preparers who prey on unsuspecting taxpayers with outlandish promises of overly large refunds make the Dirty Dozen list every year. "Choose your tax return preparer carefully because you entrust them with your private financial information that needs to be protected," said IRS Commissioner John Koskinen. "Most preparers provide high-quality service but we run across cases each year where unscrupulous preparers steal from their clients and misfile their taxes." Return preparers are a vital part of the U.S. tax system. About 60 percent of taxpayers use tax professionals to prepare their returns. 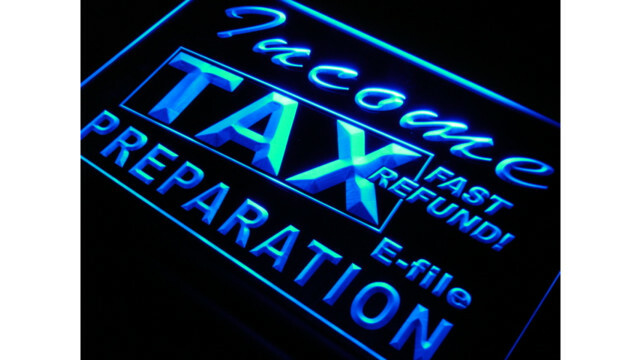 It is important to choose carefully when hiring an individual or firm to prepare a tax return. Well-intentioned taxpayers can be misled by preparers who don’t understand taxes or who mislead people into taking credits or deductions they aren’t entitled to in order to increase their fee. Every year, these types of tax preparers face everything from penalties to jail time for defrauding their clients. Inquire whether the tax return preparer has a professional credential (enrolled agent, certified public accountant or attorney), belongs to a professional organization or attends continuing education classes. A number of tax law changes can be complex. A competent tax professional needs to be up-to-date in these matters. Tax return preparers aren’t required to have a professional credential. The IRS website has more information regarding the national tax professional organizations. Ask about service fees. Avoid preparers who base fees on a percentage of their client’s refund or boast bigger refunds than their competition. Don’t give your tax documents, SSNs, and other information to a preparer when only inquiring about their services and fees. Unfortunately, some preparers have improperly filed returns without the taxpayer’s permission once the records were obtained. Ask to e-file your return. Make sure your preparer offers IRS e-file. Paid preparers who do taxes for more than 10 clients generally must file electronically. The IRS has processed more than 1.5 billion e-filed tax returns. It’s the safest and most accurate way to file a return. Understand who can represent you. Attorneys, CPAs, and enrolled agents can represent any client before the IRS in any situation. Annual Filing Season Program participants may represent you in limited situations if they prepared and signed your return. However, non-credentialed preparers who do not participate in the Annual Filing Season Program may only represent clients before the IRS on returns they prepared and signed on or before Dec. 31, 2015.
Review your return before signing. Before you sign your tax return, review it and ask questions if something is not clear. Make sure you’re comfortable with the accuracy of the return before you sign it and that your refund goes directly to you – not into the preparer’s bank account. Reviewing the routing and bank account number on the completed return is always a good idea. Report abusive tax preparers to the IRS. You can report abusive tax return preparers and suspected tax fraud to the IRS. Use Form 14157, Complaint: Tax Return Preparer. If you suspect a return preparer filed or changed the return without your consent, you should also file Form 14157-A, Return Preparer Fraud or Misconduct Affidavit. You can get these forms on IRS.gov. To find other tips about choosing a preparer, understanding the differences in credentials and qualifications, researching the IRS preparer directory, and learning how to submit a complaint regarding a tax return preparer. Taxpayers are legally responsible for what is on their tax return even if someone else prepares it.